Floridians use a lot of energy. 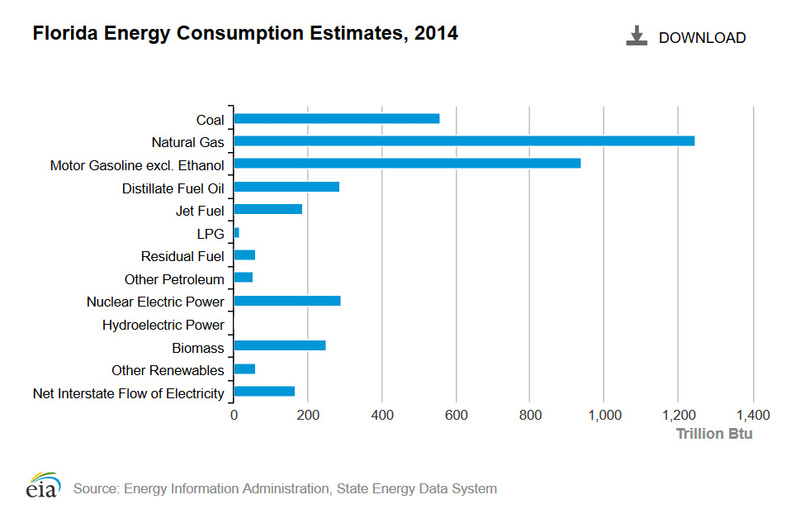 In fact, thanks to a thriving tourism industry, a robust transportation network, and the fact that 19 out of 20 residents use air conditioning to survive year-long heat waves, Florida is one of the five largest energy consuming states in the country, as the most recent U.S. Energy Information Administration (EIA) graphic illustrates. 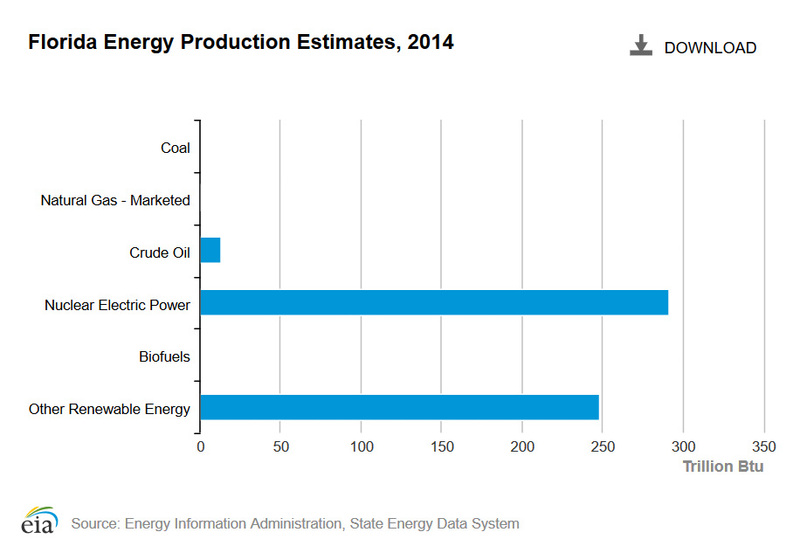 The majority of this energy, as the above chart shows, comes from fossil fuels, including natural gas, oil or other petroleum sources. And while the Sunshine State does not currently use hydraulic fracturing, or fracking, within its borders, it already benefits greatly from this widely used stimulation practice’s proven success in other parts of the country. According to the EIA, Florida was the U.S.’s fifth largest consumer of natural gas in 2015, using 1.34 trillion cubic feet (tcf), or five percent of the total U.S. consumption. Florida is also one of the nation’s largest consumers of electricity — only Texas and California consume more. Electricity accounts for 90 percent of the energy used by residents, as nine out of 10 households use electricity as their main heating source, and even more residents use it to run air conditioning units. In fact, Florida’s power use per capita places it in the top quartile of states for electricity consumption. Electricity goes hand in hand with Florida’s natural gas consumption, as five-sixths of the state’s overall natural gas usage is for electricity generation. 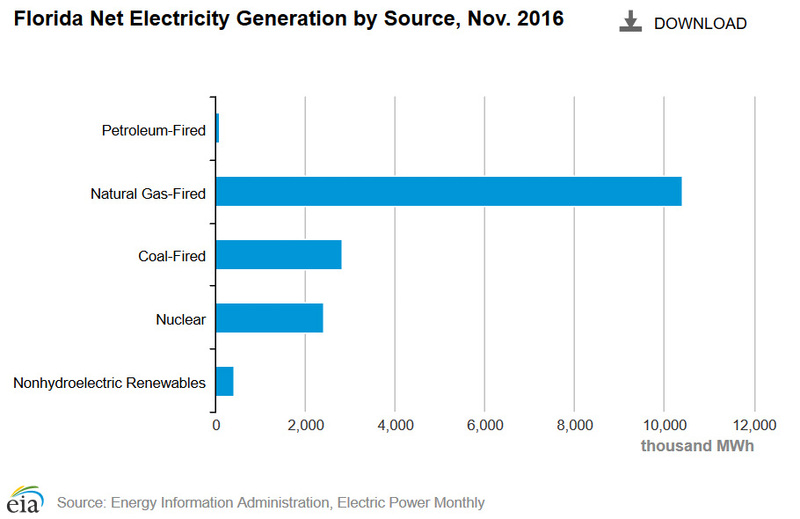 That’s because 61 percent, or nearly two-thirds, of the Sunshine State’s electricity is generated by natural gas, including six of the 10 largest power generating plants in the state. While Florida has a long history of oil and gas development, it does not currently produce enough oil and gas to supply the state’s high demand for energy. Could this change if fracking were to occur in the future? It’s possible that the stimulation process could help unlock reserves previously assumed unrecoverable as it has in other parts of the country, although at this point that would only be speculation. In the meantime, as the most recent data from EIA shows, Florida has to make up for the gap between oil and gas production and the high demand of Florida’s residents and businesses. 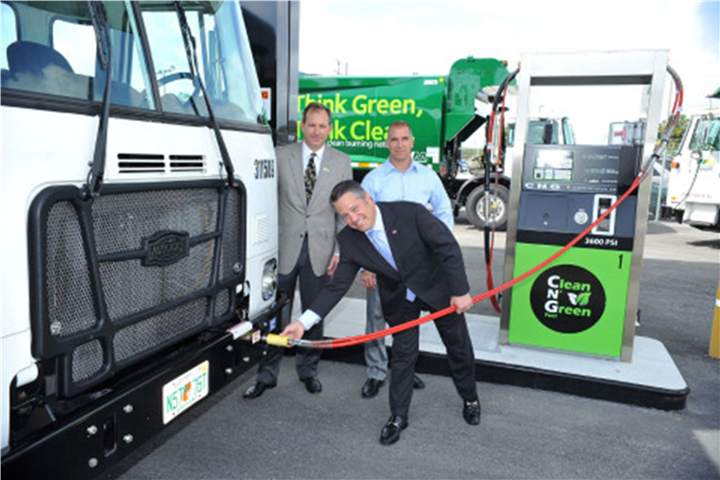 Currently, Florida gets petroleum products such as gasoline and gasoline blending components, residual fuel oil, jet fuel, and asphalt from all over the world. For instance, ethanol typically comes from Brazil. These products are delivered on tankers and barges to several ports located in Jacksonville, Miami, Port Canaveral, Port Manatee, and Port Everglades. When it comes to Florida’s biggest energy source — natural gas — those imports tend to come from right here in the United States. In fact, recent plans for an import terminal were abandoned due to the large amounts of natural gas unlocked by fracking throughout America’s shale plays. Natural gas is currently piped into the state via the Florida Gas Transmission pipeline (Texas to Miami), the Gulfstream pipeline (an underwater pipeline from Mississippi and Alabama to central Florida) and the Southern Natural Pipeline (Georgia to Florida). Fracking may not currently be taking place in Florida, but that does not mean that Floridians are not already heavily reliant on fossil fuels like natural gas produced from this stimulation technique. More so, Floridians are already experiencing the many benefits these domestic products provide.